Facebook’s open-sourcing roll continued with the social network’s announcement that it added Haskell library Haxl to the list. Batch multiple requests to the same data source into a single request. Request data from multiple data sources concurrently. 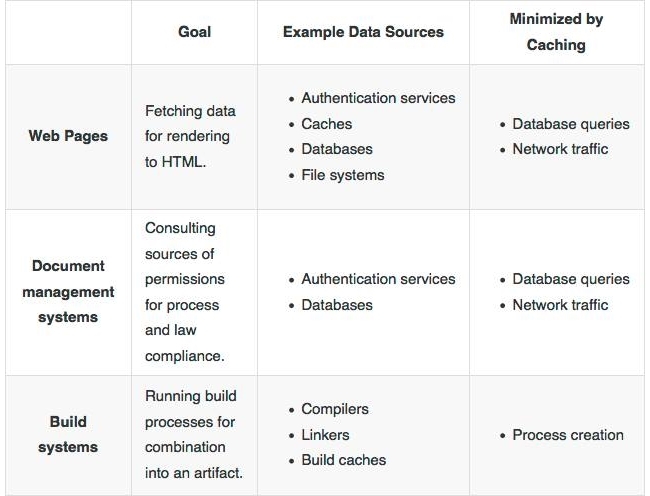 Having all of this handled for you means that your data-fetching code can be much cleaner and clearer than it would otherwise be if it had to worry about optimizing data-fetching. Head over to the Github repo to check out the code, documentation, and examples. Facebook also provided a chart featuring potential uses for Haxl (above), and much more detail is included in the blog post.